Ross spends much of his life travelling around the world of conferences and workshops. It all started for Ross when he worked for British Airways for over a decade, representing the airline at a variety of internal and external events. 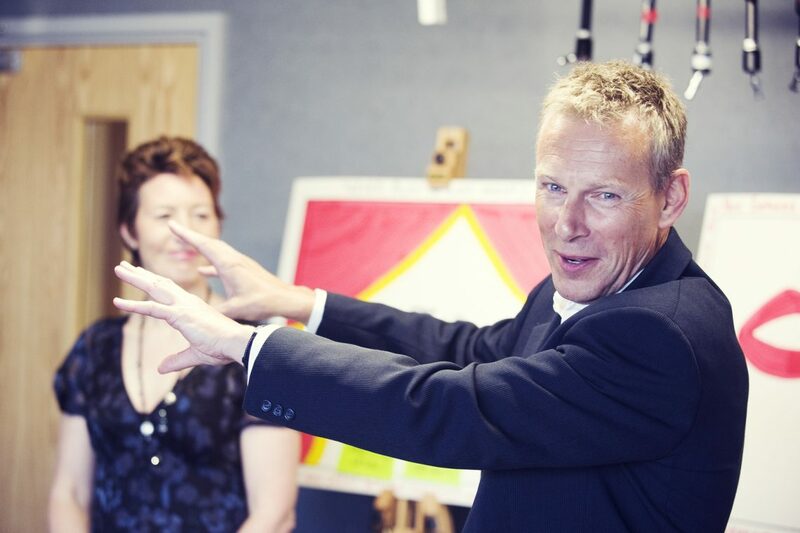 This inspired him to become a full time Conference Facilitator and Presenter for a multitude of organisations in different sectors, and he now puts this experience to good use with PS Programmes, coaching others to present – ranging from helping clients with their ‘storytelling’ to presenting on a stage, to preparing and delivering pitches to win contracts, as well as helping clients develop their event content and flow for company conferences. Ross says: An uplifting way to start. We used this song for a roadshow for a holiday company. It was one of the first events we had ever produced and presented, and the company had the confidence to go with us. Thankfully, it was a big success, and I still love hearing this song today. My parents used to play Elgar’s Enigma variations to me as a child. It is to this day, my favourite piece of classical music. It’s often thought of as a solemn piece of music, yet it was played at the opening of the London Olympics with enormous impact. I used to play this when I first met my wife Jana. I discovered she loved it as much as I did, and ‘Van the Man’ became one of many things we had in common. It reminds us that life has its ups and downs, and that we all have ‘days like this’. Jupiter is the ‘bringer of jollity’, impressive and cheerful. This piece of music has so many components, from bold to soft, the centre piece of which is the hymn I used to sing in my church as a choir boy, ‘I vow to thee my country’. Rugby fans and choir boys are amongst many who will know and love this music! I could listen to Karen Carpenter’s voice all day long. This is one of their hits which wasn’t written by Richard Carpenter, yet this version stands out from the rest because of her purity. Play this in a large venue (before anyone comes in! ), and you’ll know what I mean. I was doing a number of events for a hotel company, and driving between the locations. ‘Breakfast in America’ was the CD in the car at the time, and I found myself playing it every day, as I drove around the country. It drove me mad, but this is just one track from a brilliant album. I have to have an Eric Clapton song somewhere on my list. He used to live locally to me, and his mother came to many of the concerts, from the village hall (as ‘Eddie & the Earthquakes’) to the large concert venues. ‘Forever Man’ was recently released as a compilation album, and he still brings something fresh and new to his performances. That’s something worth remembering. With this final song, I get to have one of the greatest British rock bands and one of the greatest singer/songwriters. George sang this at the Freddie Mercury Tribute concert at Wembley, and rose to the occasion with what he said was one of his proudest moments. Life is short, so I want to make the most of my time here, before I’m cast away on my island! 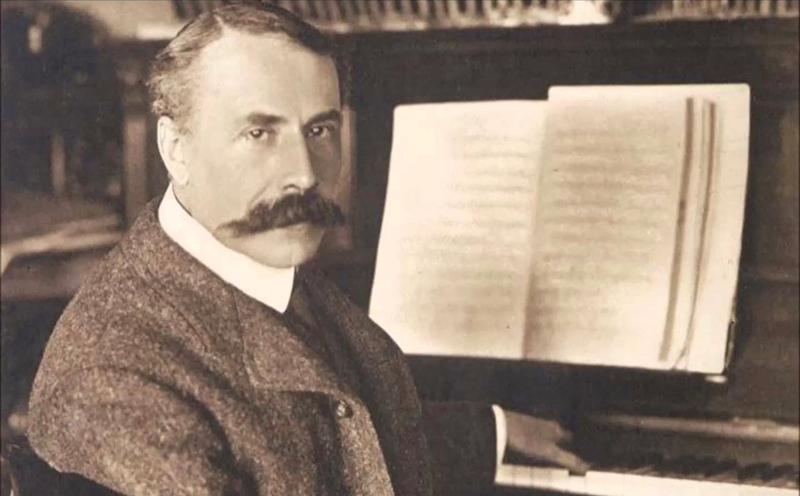 I would have to save – Edward Elgar, Nimrod. It’s both moving and uplifting. Read about our previous PS Programmes castaways Rasheed Ogunlaru, Tom York and Ian Hawkins. Join us next time when our cast away will be Denise Fryer.